Suffer from seasonal allergies? How to get a better sleep. Fall is upon us — a season when many begin to experience increased allergy symptoms from dust, mold, etc. This can lead to disturbed sleep because of nasal congestion and coughing. How do you avoid or reduce some of the negative effects allergies have on your sleep? First of all, allergies are your immune system’s response to breathing, eating or touching substances outside of your body. Common allergy triggers include pollen, mold, pet dander, dust mites, and fur which typically cause the reactions that disturb sleep. Some foods, medications and insect bites can also cause an allergic reaction, although that type of allergen doesn’t usually create the kind of chronic response which regularly impacts sleep. Many seasonal allergy sufferers indicate difficulty with getting uninterrupted sleep. They’re more prone to insomnia which leads to daytime fatigue and can turn into chronic sleep deprivation. The more severe the allergies, the worse the sleep. The best way to breathe when you’re sleeping is through your nose, but if it’s congested, you begin breathing through your mouth. This makes sleep difficult, and dries out the mouth and throat leading to discomfort and difficulty getting to sleep or staying there. First of all, bed linens should be washed weekly to reduce sensitivities. One option to reduce your allergies is bamboo, which is naturally hypoallergenic and contains an enzyme that repels pests and fungi. It wicks away moisture twice as fast as cotton, fighting off common allergy triggers. This drop in moisture creates an environment that’s not hospitable for dust mites and bacteria. 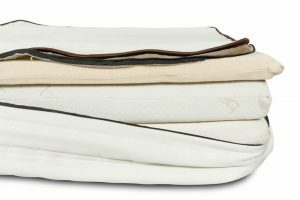 Bamboo bedding and mattress covers can reduce your allergies, helping you to sleep better. If you are repeatedly woken by coughing or sneezing, consider making the switch. A second option, wool, is naturally too dry for dust mites to survive in — no chemical treatments are needed to keep them away. Wool is also excellent for temperature regulation. Sleep Boutique offers both solutions to make your bedroom and your sleep more allergy-free. 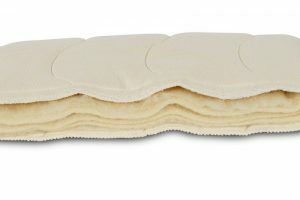 We carry premium Canadian made and designed Bamboo knit zip covers for mattresses and mattress toppers, as well as toppers made from JOMA Wool, a high quality natural fibre and naturally grown product offering a range of sleep and health benefits, so you can stop worrying about having an allergic reaction and sleep easy again.